Hi, this is Matthew Emht calling in for Alpine Ascents Team 3 on Aconcagua. Today is Monday, December 16th and after having a baggage delay with one of the climbers we finally sorted it out, the entire team has got all of their equipment. 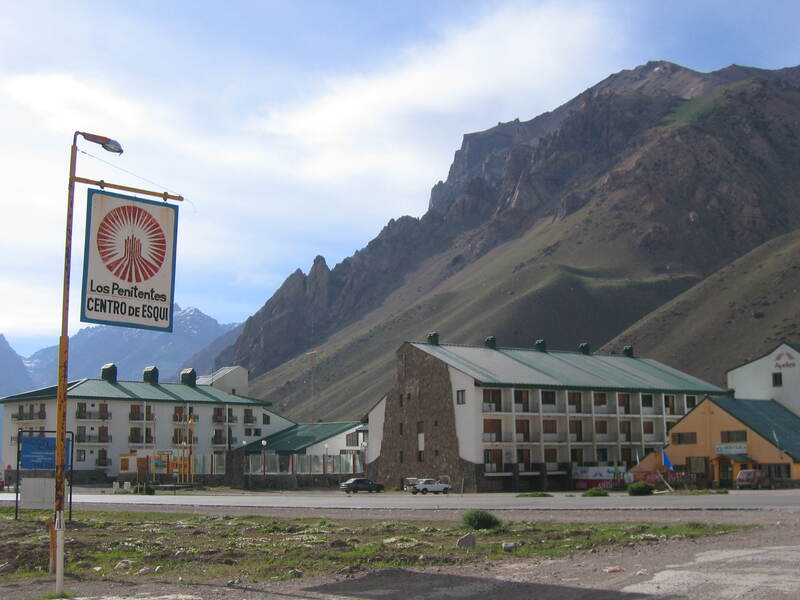 And we have arrived up at the Hotel Ayelen, up at the sleepy little ski area called Penitentes. We are near the trailhead that we will be starting from, just about maybe 10 miles to the east of the continental divide of the Andes. It’s a very nice day here, actually not too windy at all. We passed through a couple miles of rain showers on the drive up. It’s partly cloudy right now, but really nice temperatures. Everybody is feeling good, really excited to hit the trail tomorrow. It’s a little after 7:00 right now, we’ll be having dinner here in less than an hour, a nice steak dinner at the hotel, and people will be enjoying their last hot shower for a while and having a good night’s rest. So that’s the news, everybody once again is doing great and we are excited to hit the trail tomorrow, and start this expedition, thanks for listening. Team Three Times A Lucky summits Aconcagua on a beautiful day with a little snow to celebrate!